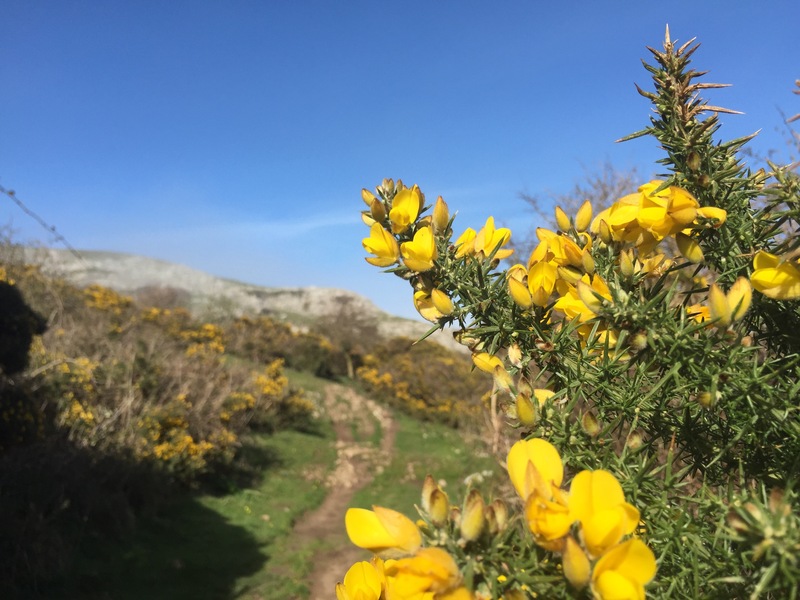 There was magical fog on our hike around the Little Orme near Llandudno, but before it rolled in we enjoyed the afternoon sun, the coconut scent of gorse flowers, and even a few easter bunnies that hung around as we hiked past. Happy spring and nowruz mobarak! My garden is starting to come alive, and I have been enjoying it by spending more time outside among the growing plants. There are also lots of phone calls, emails, and messages today as the first day of spring also marks the Persian new year — my heart goes out to all my friends and family who are celebrating right now. The clouds teased me today, rolling in just before the solar eclipse began. I watched as the light took on the glow it gets when the sun is struggling to shine through the clouds. And then, as the moon eclipsed the sun, the clouds opened just enough to watch the process unfold.